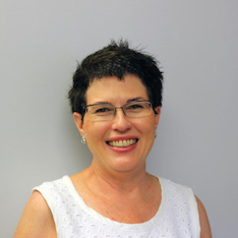 Dr Dale Peters took over as Interim Director of UCT eResearch in January 2016, serving a dual role as eResearch Director and Deputy Director, Technical Services, in the UCT Libraries prior to her appointment as Director in January 2017. Peters holds a transdisciplinary PhD in Library and Information Sciences, with a co-supervisor in Analytical Chemistry. Prior to joining UCT in 2013 she spearheaded an EU-funded e-infrastructure project called DRIVER (Digital Repository Infrastructure Vision for European Research). She also previously led the Digital Innovation South Africa (DISA) project, funded by the Andrew W Mellon Foundation.